I recently started getting up one hour earlier than I usually do and it has made so much of a difference. 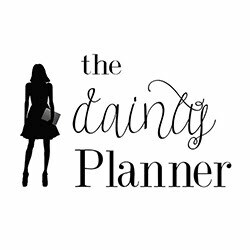 One, it has made it possible for me to continue blogging since I have that extra time to get ready in the morning but, most importantly, it is my "me" time. After I get ready, I make myself a bowl of cereal and brew some coffee and catch up on my Bravo shows and blog reading. 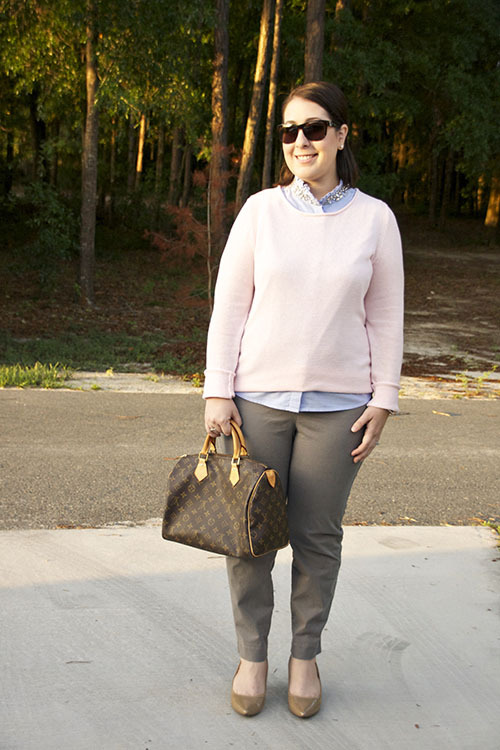 In fact, have a little bit more time in the morning allowed me to catch up on Tara's blog and see this post which inspired my outfit! I've always been a morning person but trying to get ready and take care of a rambunctious toddler is something crazy. Lucas is awesome but oh so rambunctious. Oh. So. Rambunctious. I wouldn't have it any other way. 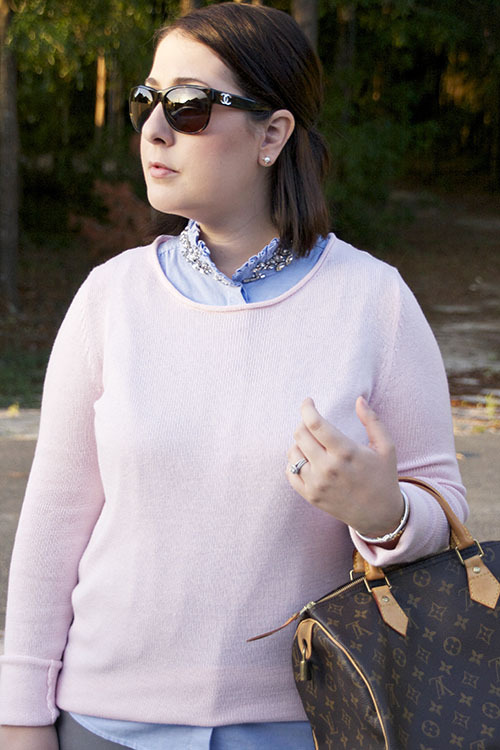 LOVE your hair, the jeweled collar on your shirt and the link pink sweater. I've been thinking about getting up before everyone else. It sounds like you've gotten into a nice routine. Thank you! I definitely snooze in at least once a week but having that extra is always nice. Love your layering!! You look amazing!! I wish I could get up an hour earlier but I wouldn't make it through the day! !